Van Life :: What's The best that can happen? Ever since I met Jon over eleven years ago I’ve been envious of his “event life” career. Working and operating event to event always seemed so glamorous to me especially when compared to having the same schedule every day. As I became more ingrained in my physical therapy career, which came with it an extremely predictable and necessary set schedules that were not favorable to last minute “event life” schedule changes, I romanticized about event life. The point being, I wanted to be part of that event world. I wanted to have things change on a whim and be forced to roll with it, despite my type A personality and lifetime desire for predictable schedules. Slowly, over the past decade, Jon has brought me into his world. I’ve put myself in healthcare roles where I have flexibility to help him with event activations from travel to set up to tear down. And I love it. Not only do I like the occasional non-physical therapist employment (I love my profession but it’s ok to have other interests in addition to PT), but it means more time with Jon. We said it when we were in the van full time and I’ll continue to say it, I like being near him. Life outside of the van has brought much distraction and I miss him. At the moment we are scheming a spring adventure, which includes event activation at Sea Otter as well as living together again in 72 square feet. I feel very lucky that I get to work with my husband and share in his chosen career path and also that he doesn’t mind letting me into his space. In a similar capacity, Jon is now in my professional world more than ever. In February he will complete his massage school program and officially be a colleague of mine in the healthcare space. While our schooling, background, experience and execution are quite different, there are plenty of commonalities and I’m welcoming him with open arms. It is utterly refreshing when Jon chimes in after a day at school commenting on what he learned. From telling me all about how the rotator cuff operates to tennis elbow to the central nervous system. Just the other day he was explaining the importance of balanced scapular position for good posture and arm movement. You don’t say?! Just when I think he couldn’t know me any better he launches into a conversation about soft tissue adhesions. Swoooooon. Then on the flip side he educates me on meridians and triple heaters (Google it), which isn’t necessarily in my scope, but I’m all ears. Each of us will continue to own our professional space within our marriage, so to speak. In our relationship and in my eyes, he will continue to be the expert in the outdoor industry, marketing and events and I will be his intern. Similarly, I will continue to be the healthcare expert amongst the two of us with Jon as my protégé. 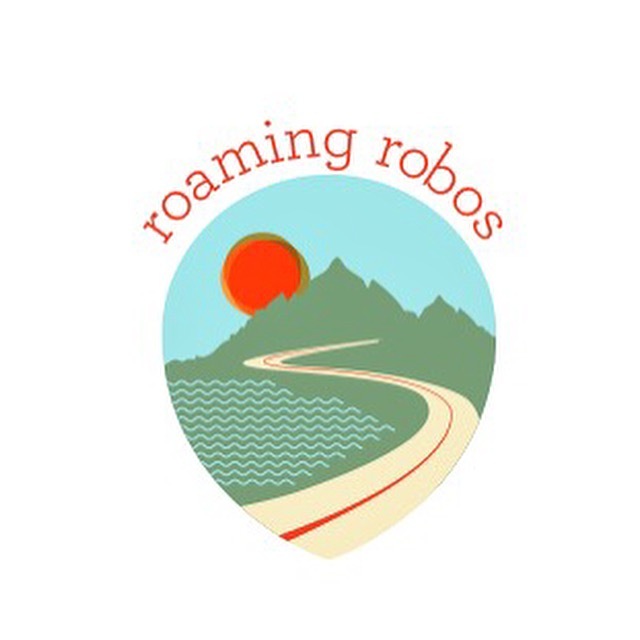 Together our little Instagram handle turned blog is turning itself into a wee little brand: Roaming Robos…and I like it.